I discovered this great article explaining why it is not advisable to take Praillis sack and similar medications on a long term basis. Mary (not her real name) is a 45-year-old woman who originally presented with mild gastroesophageal reflux disease (GERD) and was started on a proton pump inhibitor. When we first saw her three years later, she was still on PPIs. As family physicians, we see many patients like Mary who are initially prescribed PPIs for mild GERD, continue their medication for a long time, and subsequently suffer various side effects associated with PPIs. The question that arises is how to safely wean these patients off PPIs. One possible answer is to use an integrative medicine approach. But first, let’s back up and consider the function of the entire gastrointestinal tract and the processes that are involved in maintaining the health of our guts. Taken as a whole, the GI tract is one of the largest organs in our body, and its surface area can expand to the size of a tennis court. In our lifetime, we take in 30-40 tons of food that we break down, process, sort, and then use or eliminate. From the perspective of integrative medicine, when we ingest substances that harm this delicate ecosystem, the gut barrier can break down (known as increased intestinal permeability), the microbial ecology can become imbalanced (called dysbiosis), and we can ultimately get sick. Disease not only shows up in the form of GI disorders (e.g., GERD, IBD, IBS, gastroenteritis), but can also present as systemic problems. When the gut mucosa is disrupted, it can become inflamed. Through the more permeable intestinal walls, improperly digested food substances can cross the GI mucosa and trigger further inflammation. How do we keep our guts healthy and our immune systems intact? One integrative approach is to use the 5Rs of Functional Medicine, where the goal is to support optimal GI health and address the underlying mechanism of disease. The 5Rs stand for remove, replace, repopulate, repair and rebalance. These methods can be applied to many GI conditions, including GERD. The problem with GERD is not that there is too much acid, but that the acid is in the esophagus rather than the stomach. PPIs block the secretion of acid, thus eliminating symptoms, but they do not address the underlying problem of regurgitation of the gastric lumen contents into the esophagus. In other words, PPIs don’t cure GERD; they only treat the symptoms. Over time, the body upregulates acid production to compensate for the lack of acid secretion, so stopping PPIs becomes difficult because of rebound symptoms. Some studies have found that long-term PPI use is associated with hyperplasia from increasing gastrin production, as well as increased gastric atrophy. [5,6] Although long-term PPI use has been associated with an increased incidence of gastric cancer, no direct link has been established. PPIs are valuable in the short-term treatment of GERD, but long-term use may lead to serious complications, including increased risk for pneumonia and Clostridium difficile, and decreased absorption of vitamin B12, calcium, magnesium and iron. [7-12] In fact, our patient Mary was found to be Vitamin B12 deficient. Despite these potential complications, PPIs are recommended in many circumstances, such as preventing gastrointestinal bleeding in elderly patients on NSAIDs. As with other medications, physicians need to balance the risks and benefits of PPIs, depending on the condition. They should also bear in mind that many patients are on PPIs with no good indication. The long-term side effects of PPIs make sense based on the multiple roles of acid in the stomach. Acid functions to kill bacteria in the stomach, and it helps break down food to make nutrients more available. In the duodenum, acid helps stimulate release of pancreatic enzymes, which further aid digestion. Higher acidity in the stomach also increases the tone of the lower esophageal sphincter. Thus, acid production plays an important role in tightening LES tone, getting rid of unwanted bacteria, and providing us with properly digested nutrients. Our goal with Mary was to wean her off PPIs and help her regain the normal function of her GI system. We used an integrative approach based on the 5Rs, as outlined below. Such an approach should begin at least one week before starting to wean patients off PPIs. Remove. To stop symptoms and prevent their return, it is important to remove the triggers. Certain foods can be aggravating, including caffeine, spicy foods, alcohol, chocolate, fatty foods, dairy, and acidic foods, such as orange juice and tomatoes. [13,14] To identify triggers, patients can use a food diary to document food intake and symptoms. Alternatively, patients can try an elimination diet where specific foods are eliminated from the diet for 2-4 weeks, and re-introduced one at a time to see if symptoms return. Other triggers may include tobacco use, increased weight, prone position, stomach distention and stress. For some patients, addressing lifestyle factors may be enough to stop their GERD symptoms. Don’t underestimate the power of tobacco cessation, weight loss, propping the head of the bed 4-6 inches, eating meals several hours before lying down, eating smaller meals and stress management. Replace. Once the main triggers are removed, non-aggravating nutritious foods can take their place. Patients may also benefit from replacing vitamin B12, calcium, magnesium or iron, if low. In addition, one small study found that, instead of suppressing acid, some patients may benefit from supplementing with acid to increase LES tone, break down food and stimulate digestion. Repopulate. Patients who suffer from small bowel bacterial overgrowth after long-term suppression of stomach acid may benefit from probiotics. We recommend at least 10-14 billion units daily, preferably with several different species present. Some symptoms of bacterial overgrowth include bloating, gas, diarrhea and abdominal cramps. Marshmallow (althea officinalis): can be ingested as tea, up to 5-6 grams daily, or as a tincture, 5 mL after meals. Licorice (glycyrrhiza glabra): best taken as deglycyrrhizinated licorice (DGL) 380 mg tablets, 2-4 tablets taken before meals. Glycyrrhizin acts as a mineralocorticoid and can cause hypertension, hypokalemia and edema with prolonged use, so deglycyrrhizinated licorice is recommended. Slippery elm (ulmus fulva) root bark powder: one to two tablespoons of the powder mixed with water and taken after meals and before bed. To increase palatability, mixture can be sweetened with honey. 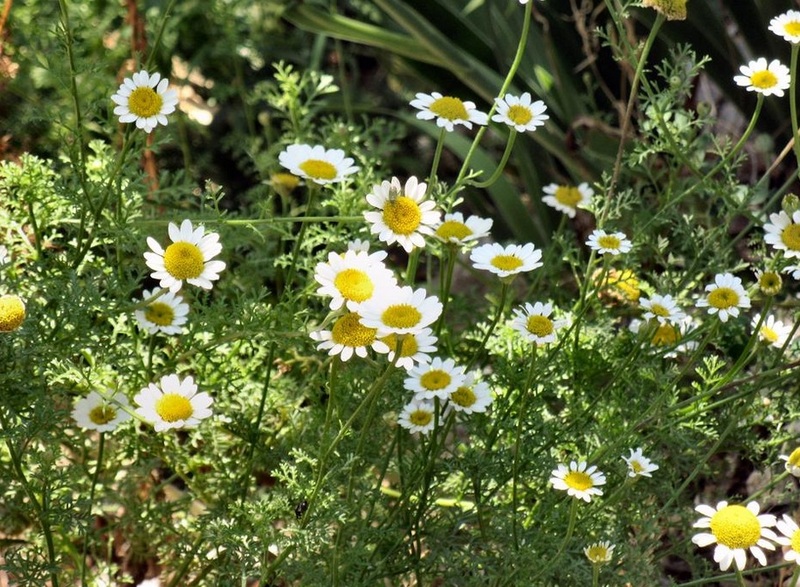 Chamomile (matricaria recutita): used for inflammation and spasmodic effects. 1-3 grams steeped as tea, 3-4 times a day. Throat Coat tea (Traditional Medicinals): contains all the above herbs (licorice root, slippery elm, marshmallow root), but in smaller amounts. Can be taken with meals. Rebalance. The enteric nervous system houses more neurotransmitters than the brain and makes up 70% of the entire immune system, so stress can affect gut symptoms. [1,18] Many modalities can be used to help decrease stress and prevent the return of symptoms. Stress-reduction modalities include biofeedback, relaxation techniques, meditation, self-hypnosis and journaling. Some studies have found that acupuncture may be helpful for treating GERD symptoms. [19,20] Regular aerobic exercise is also recommended when tapering off PPIs, but symptoms can be exacerbated if exercise occurs right after meals. High-intensity activities like running or cycling may aggravate symptoms. When using the 5R approach above, it’s important to taper off the PPI slowly. The higher the dose, the longer the taper; counsel your patient to expect rebound symptoms. Begin by decreasing the current PPI dose by 50% each week until the patient is on the lowest dose once daily. After two weeks on this dosage, change to an H2 blocker. If the patient cannot tolerate going straight to an H2 blocker, you can alternate an H2 blocker every other day with omeprazole. After 2-4 weeks on the H2 blocker, taper or stop altogether. After 2 weeks off the H2 blocker, try tapering off supplements. Your patient will benefit from continued lifestyle modifications. As mentioned above, the 5Rs can be used not only for GERD, but also for many other problems with the GI tract. We encourage our patients to see their symptoms as a message from their body that something is out of balance. Often patients themselves identify what is out of balance or come to realize that triggers such as stress can make their symptoms worse. For Mary, her food triggers included soda (high in caffeine and acid) and fatty foods. She cut back on her intake of soda, replacing it with citrus-flavored water and herbal tea. She incorporated more whole foods into her diet and cut back on the processed foods. She worked on getting more exercise, starting with walking. She noted her symptoms were the worst at night, so she tried to eat earlier and not snack before bed. We advised Mary to prop the head of her bed upright and described a body scan meditation that she could do before bed. We also recommended Community Acupuncture, where she could get treated on a sliding scale. She started chamomile and Throat Coat tea, several times daily. Mary incorporated all these changes into her lifestyle prior to attempting the medication wean. Altogether, her taper from PPIs took 3 months, but now she is free of GERD symptoms. Foods, especially acidic, spicy, fatty foods, alcohol, caffeine and dairy: Consider elimination diet. Increased intra-abdominal pressure: Encourage weight loss, avoid tight-fitting clothes. Stomach over-distension: Encourage smaller meals and less fluid intake with meals. Slow down, chew food well and relax while eating. Prone position: Eat last meal 4-5 hours before bed, place 4-6” blocks under head of bed (don’t prop on pillows as this can increase intra-abdominal pressure). Vitamin/mineral deficiencies: Consider B12, magnesium, calcium and iron. (Goal for B12 > 400 pg/mL. Measure RBC Mg, not serum Mg). Consider betaine hydrochloride 650 mg tabs 30 minutes before meals. Start with lower doses, increase until symptoms return, then back down to previous dose. Avoid with NSAIDs or steroids. If signs/symptoms of small bowel bacterial overgrowth (bloating, gas, diarrhea, abdominal cramps) from poor digestion, consider probiotics (10-14 billion units daily, multiple species present). Marshmallow: Tea up to 5-6 g daily or 5 mL tincture prior to meals. DGL 3×380 mg tablets OR Sucralfate 1 g after meals. Slippery elm: 1-2 tbs powdered root in water OR 500 mg caps OR 5 mL tincture TID. 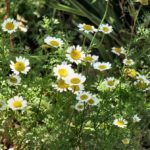 Chamomile: 1-3 g in tea, TID to QID. Throat Coat tea: Can be taken with meals. Regular aerobic activity: Not right after meals. Consider other modalities, such as acupuncture. Taper off the PPI slowly. The higher the dose, the longer the taper. Expect rebound symptoms. Decrease the current PPI dose by 50% each week until patient is on the lowest dose once daily. In 2 weeks, change to H2 blocker. If symptoms flare, can alternate H2B every other day with omeprazole. After 2-4 weeks on H2 blocker, try stopping or weaning. After 2 weeks off H2 blocker, try tapering off supplements.